Our subsidiary Transtest offers training courses which will enable your employees to become more knowledgeable in a wide variety of disciplines. Our instructors are experts who work in electrical, temperature, pressure and flow calibration. They will instruct your team on the foundation and techniques of metrology. Skills which can immediately be put to productive use within your workplace. PAT Testing: Portable Appliance Testing (PAT) / Fundamentals of appliance testing / Level of inspection and testing required. 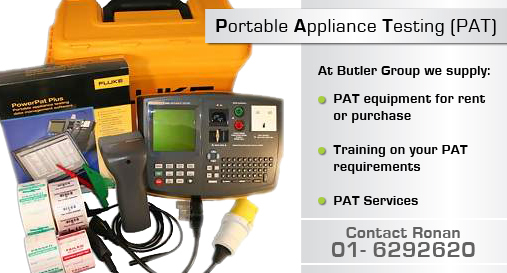 For further information on our Calibration Training Services please contact the Butler Group on + 353 1 6292620.